When my husband was diagnosed in March of 2000, at age 58, with multiple bone metastases and a PSA of 7,096, the first question we both wanted to get an answer for was this one – “How long does he have, doc?” At one point, one urologist said, “Well, maybe 2 years or more.” But that was quickly followed by me becoming educated, engaged, and equipped in doctors’ appointments, and eventually suggesting treatments. My instincts were strong, and I could be thoughtful and objective in emotional times — something I think my mom taught me. But I knew my husband better than his doctors, even though they knew medicine better than me. I could tell that doctors were rushed. Sometimes it wasn’t their fault that they didn’t have more time in the clinic. Still — I know my research and input made a difference in his survival. In addition, the longer he lived, the more drugs and treatments that became available. He lived for 13 years. In 2013, I wrote an article for the PCRI newsletter called “Understanding survival statistics.” I tried to clarify some of the misinformation that I had seen in many patients’ stories, and I highlighted eight other patients and how they far they had outlived the survival times they were quoted by their doctors. For me, it is critical to realize that under-quoting someone’s chances of living can steal the one thing from them that may have major impact — their involvement in their own health care. I know from experience that it can make a big difference — and if you discourage someone, you risk stealing their “fight”, their desire to stay involved. I think the best answer for patients starts with the truth — “We don’t really know”. I think that could be followed up with some variables that could change, some encouragement to stay involved — shared decision-making, if you will. Editorial note: This commentary was written for The “New” Prostate Cancer InfoLink by Jan Manarite, the executive vice president for Prostate Cancer International. Thank you! My husband was diagnosed in March of 2013 with a PSA of 928. We were treated very poorly by doctors who did not know what to say. I feel that he had prostate cancer for 4 years prior to that, but had a negative biopsy with two negative MRIs and color dopplers and no clinical symptoms. We were told prostatitis and he was constantly on antibiotics. We went to two urologists. His PSA started at 7, went to 30s and then jumped to 928, with a doubling time of 4 weeks. We on our own went for a 3-T MRI-guided biopsy (which our insurance did not cover). At that time they found five greatly enlarged lymph nodes. The diagnosis was Gleason 9 in 90% of samples obtained. Similar to your husband, we were told two good years maybe, he was 60 at the time. He was refused radiation by two doctors (waste of time, why suffer side effects?) We found a prostate cancer oncologist who obtained radiation for him with excellent results. He has had four bone scans; no metastasis could be found. All lymph nodes are normal size presently. We had to fight, research, and went to four doctors before we found someone who would try aggressive treatment. He was written off. On treatments his PSA is 0. When he takes a drug break his doubling time is 6 weeks. So he has very aggressive prostate cancer, but it seems to be treatable. Not curable at the present time but treatable. He is presently in a medical study for a prostate cancer vaccine and doing well. We went through three major medical systems to obtain the correct care for him. I researched 2 hours a day every day and carried studies with me from appointment to appointment. It should not have to be that hard! I am sorry for your extreme loss and pain but rejoice that you had the 13 years. I do relate to the struggle of your long journey. I could tell from the beginning that the author had to be Jan. From the very beginning of her husband Dominic’s diagnosis with prostate cancer she jumped right in with research and study to make certain that Dominic would get only the very best in appropriate treatment. That didn’t stop with Dominic’s passing — she charged right on knowing that much more had to be done to ensure that patients and their caregivers were provided honest and appropriate answers to their many questions and concerns. She became one of the needed advocates, activists, and mentors and has excelled in that endeavor. Thank you, Jan; Dominic is surely looking down on you with a huge smile! I agree that the conversation needs to change regarding survival for those of us with advanced disease. 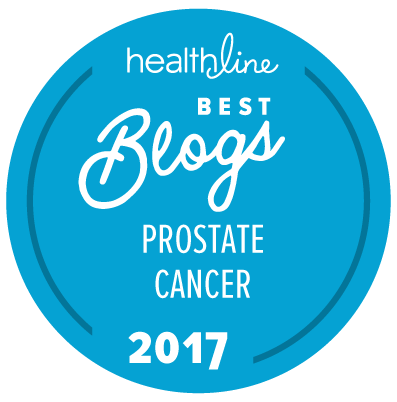 Moving towards a more open discussion with more realistic discussions of outcomes is part of the transition that is slowly occurring in the prostate cancer world. I find some parallels to the discussions regarding breast cancer and the evolution that took place as the treatments and therapies improved survival. I expect to see similar changes in the world of prostate cancer. However, one interesting aspect of the poor prognosis with limited data (I was originally given only 3 years to live — back in 2008) is that for someone like me it awakened the “fight”. My attitude was one of defiance — “Like hell am I going to die in 3 years”. I wonder how much of my survival was due to the fact that I refused to accept the prognosis and kept seeking additional therapies and life-style changes to improve my survival. In your own case, you become an advocate for your husband and your involvement in his care enabled him to live for 13 years. Would you have made the same decisions about your own path if the doctors had said he would live another 15 to 20 years? Thanks for the insight, and I hope that all of us can continue to change the discussion regarding the longer-term survival aspects of this insidious disease. Thank you. This has bearing on us organ-confined patients too, in that the downside risks of non-treatment need to be very clear and they are not always made clear by those advising us. That creates additional pressure towards treatment which pressure should perhaps be easing a bit. BAT, for example. Clearly not a cure-all, but very promising (and, off-topic, something that no body-builder would be surprised by; not due to familiarity with T abuse but the effects of “periodization” and the ability of the human system and any sub-system to re-achieve equilibrium, which then has to be “shocked”). Hope the message is taken to heart by the medical establishment.